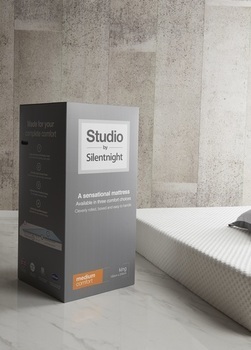 The Studio Collection by Silentnight offers what we've all been waiting for, a collection of state-of-the-art gel and memory foam mattresses with comfort options to suit all sleeping types. Delivered free and fast, the studio collection holds the well-known quality and reputation of Silentnight, with a 5 year guarantee. Is softer right for you? Is medium right for you? Is firmer right for you? If you prefer to sleep on your side or you're the more petite type, then a softer mattress could be the choice for you. A medium mattress offers the best of both worlds - not too soft and not too firm, it could be just right for you. The firmer mattress could be the choice for you if you prefer to sleep on your front or back, or if you have a larger stature. That fresh bed feeling: A soft-touch knitted cover proudly holds the Allergy UK seal of approval and ensures a fresher, cleaner bed feeling, free from dust mites and bacteria. 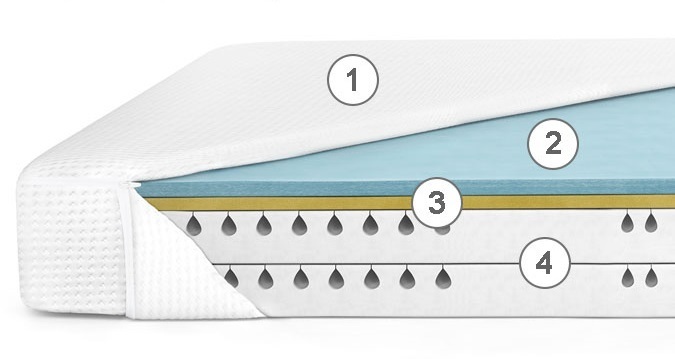 Innovate gel-infused foam layer: offers unbeatable breath-ability through its open-cell structure, helping to ensure you don't overheat on warmer nights. A combination of gel molecules, foam crystals and air cells cleverly respond to the individual contours of your body, preventing pressure points, distributing weight evenly and ensuring correct spinal alignment. State-of-the-art memory foam: ensures your weight is evenly distributed. memory foam moulds to the contours of your body helping to relieve pressure points, aches and pains night after night. Studio Flex Foam Core: this high density core offers tailored support in the comfort option of your choice, choose from either softer, medium or firmer. When you choose a Studio by Silentnight mattress, we want you to be sure that you love it so we want you to sleep on it. Mattresses need time to settle and often you need time to adjust to a new sleep style or environment, so we're giving you 60 nights to decide. 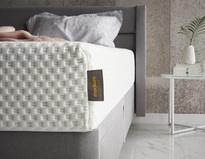 Feel you need a softer or firmer mattress? Get in touch with us and we'll exchange it for you to another Silentnight Studio mattress. *not currently available for the Studio by Silentnight medium comfort mattress. Once you've made your choice of softer, medium or firmer, you can relax knowing that it won't take long for your mattress to arrive. Order before 10am and receive your mattress with free next working day delivery. Our Studio mattresses come conveniently rolled and boxed*, all you need to do is remove the packaging and leave to settle unrolled for 24 hours in a well-ventilated room for optimum flatness and freshness. The test drive! *Please note: super king sizes will arrive flat but still with the same free next day delivery service.